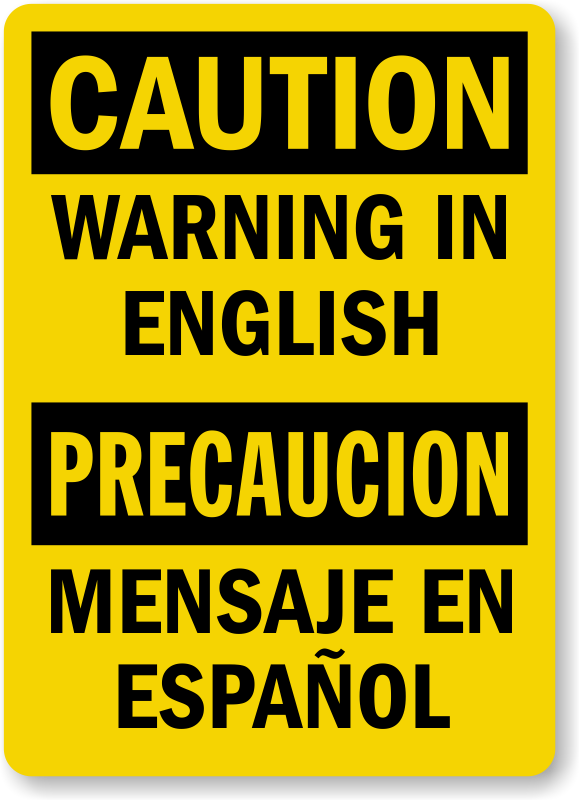 Cater to a both English and Spanish speaking workforce in your facility with a custom bilingual Caution label. Custom label complies to OSHA standards. Label made of laminated vinyl is resistant to water, chemicals, and harsh weather. Highly durable, tear proof label can be applied both inside and outdoors.